Amanda is 100% glam. A girly girl that exudes confidence and is always fashion forward. 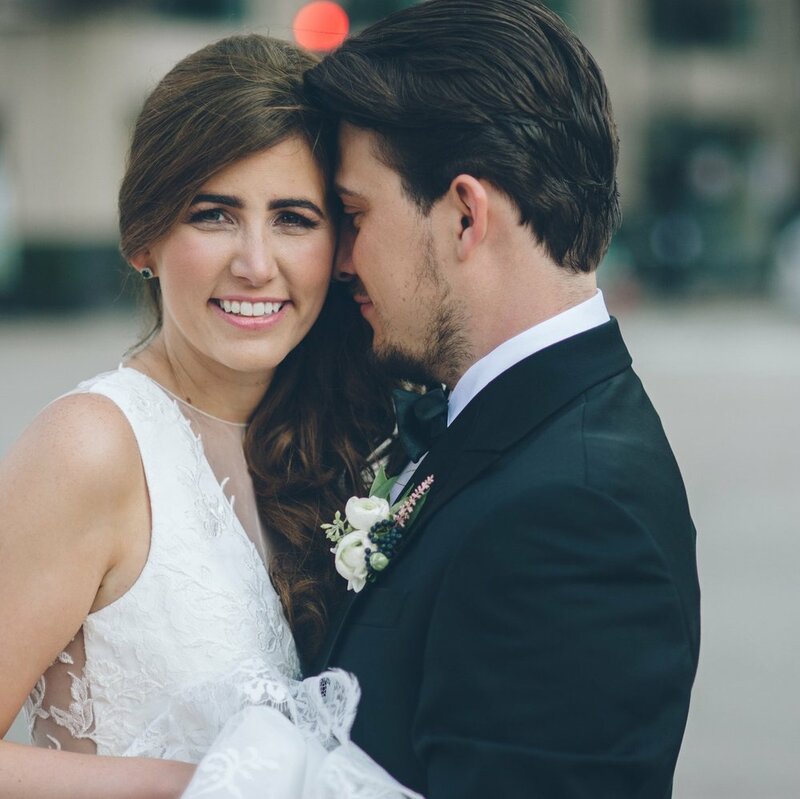 We tell you this because her (and Kurt's) wedding was a true reflection of this personality trait- it was nothing short of phenomenal! Every single detail was AMAZING and blended luxury with whimsy so very seamlessly. It was gorgeous and oh so gush-worthy! Seriously, do you see that DRESS?! Ahhhhhhh, so breathtaking! The couple had a beautiful ceremony at the Chapel of St. Thomas Aquinas with their reception at Aria immediately following. They took a majority of their family portraits before the ceremony, so they were able to get a sneak peek of the space before their guests. The looks on their faces is one of the many reasons we do what we do and we have such a passion for it! During the reception, we could just hear the happiness. The clinking glasses, the rising laughter, the kisses. It was fantastic. Secretly, it's one of the reasons we love Aria so much- the acoustics make it easy for us to know when everyone is having a really good time! And can we talk about that flower wall for a minute? AH! It had us swooning at hello. We adore their mini cake too- the sugar flower peony was such a work of art. The place settings were eclectic perfection and the linens were GORG! We adore this first look moment with Amanda and her Dad! This is one of our favorite moments- when the bride and groom get to see the reception space. SO much planning goes into this massive PARTY and seeing their expressions is such a joy for us!